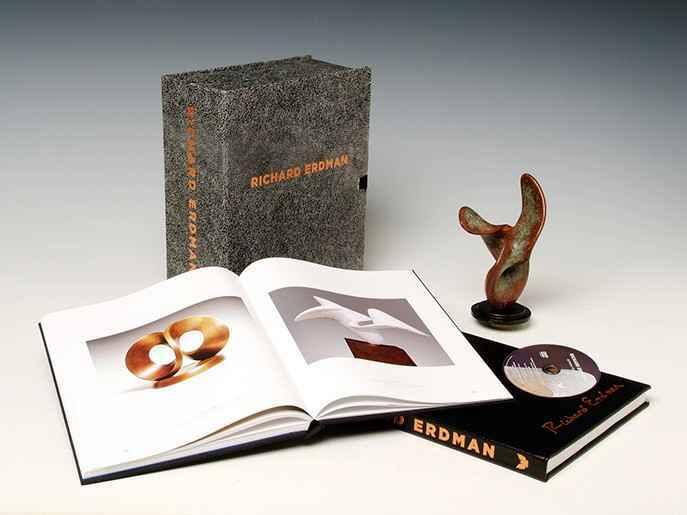 This collector’s edition is leather-bound and accompanied by an original bronze maquette created by the artist exclusively for this limited edition book. The 8.5″ sculpture Velu is signed, numbered, and dated. The book and sculpture are packed in a handmade leather-bound box and come with a personalized, signed, and numbered certificate of authenticity.